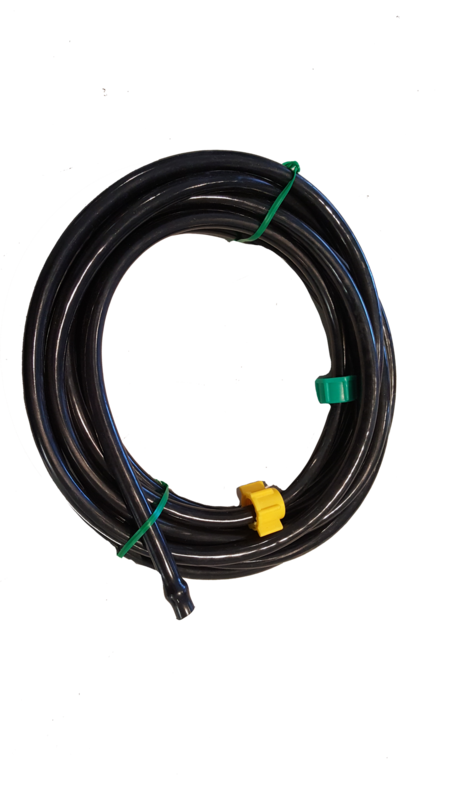 The Long Hose is 6 metres and is used in many spraying situations. Orchid growers use the Long Hose together with the Fogger Nozzle when setting up misting in their shade houses. Gardeners will often “park” their sprayer and use the Long Hose to work in the 12metre radius.